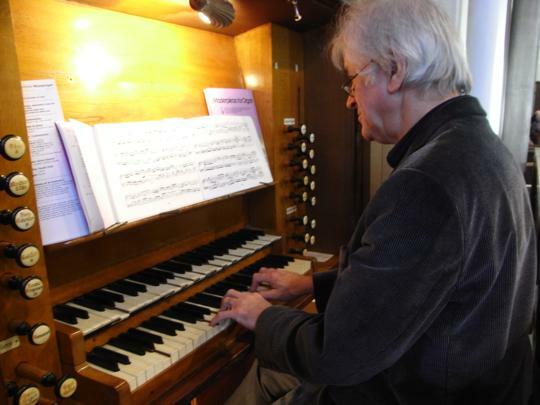 Our Choir provide musical leadership and an anthem for the Sunday morning Eucharist on all Sundays except the second Sunday in the month, when for the All-Age Service we have a music group (usually consisting of flutes, clarinet, saxophone, violin, viola, string bass and piano). While we use a good deal of “traditional” church music, both for congregational hymns and anthems, we do include modern worship songs and hymns as well. 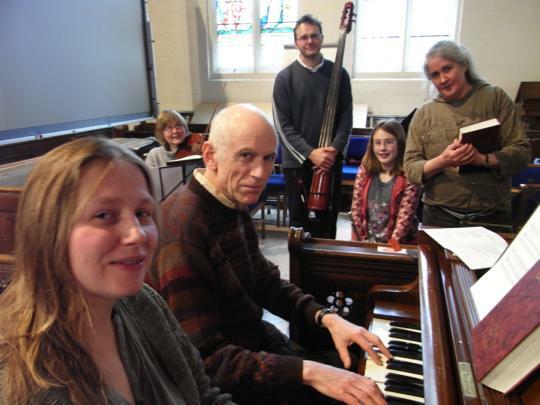 During Advent we use Celtic-style services which make more use of the piano and unaccompanied singing. 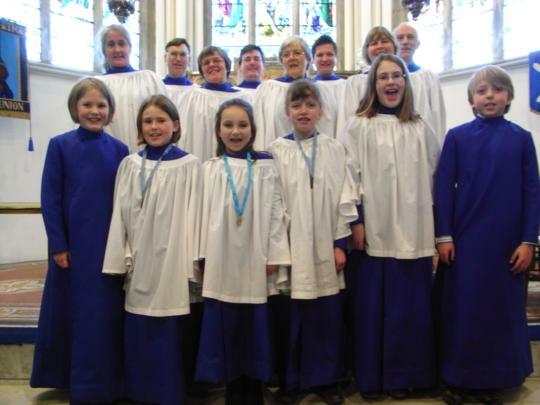 St Andrew’s Church Choir is always keen to welcome new members of any age (from 7 to 107!) who will be committed to singing with us. We rehearse every Friday during term time in the church (Junior Choir from 7pm to 8pm; Adult Choir from 7.30pm to 9pm). We sing most Sunday mornings and at occasional special services. Selected choir members at Southwark Cathedral in 2009. Do you have a favourite hymn that we haven’t sung at church lately? One that means something special to you? One you would like sung on a special occasion? Alan and Jane have always welcomed suggestions as to which hymns they choose, but now it is even easier to make your choice known to them. At the back of the church (on the back pew in the nave) is a slip on which to write your choice (it doesn’t matter which hymn book it comes from) together with a ‘Love Hymn’ box to drop them in. This is emptied on the third Sunday of every month, in time for them to be included in the following month’s selection, or the first suitable occasion they fit in with the liturgy. You may also email your request to Rev. Alan Stewart (h.alanstewart1@gmail.com).